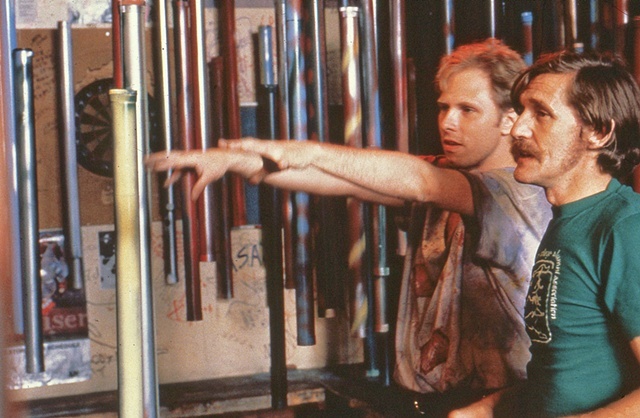 In June of 1986 the late Cliff Olds and I combined our talents with very basic materials: plastic tubes, spraypaint, and fish-line at the Comet Tavern on Seattle's Capitol Hill. We were attempting to go back to very basic components in order to discover something new in the genre of a "populist" art. What we came up with was the first, or one of the first installations that reflected the new genre of art/design which has come to be known as "Grunge."